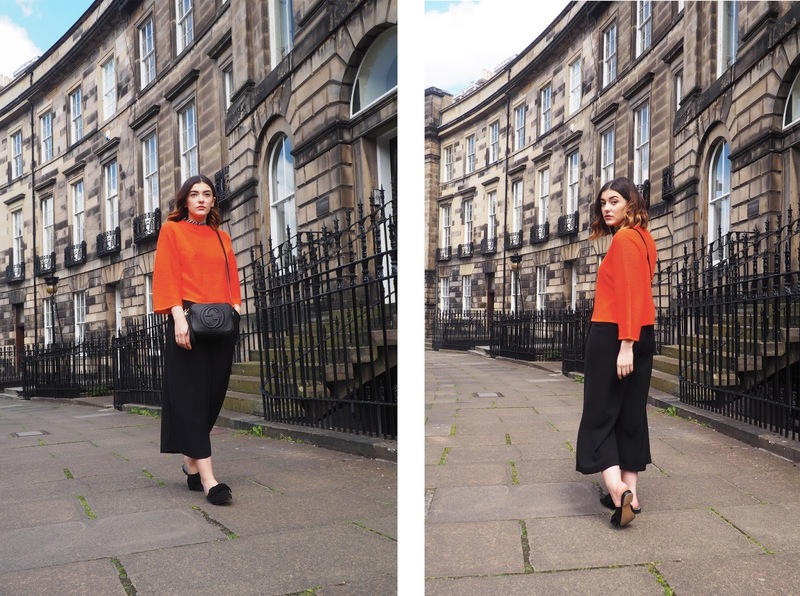 Orange is most certainly doing the rounds in the fashion industry, and I for one simply cannot get enough. 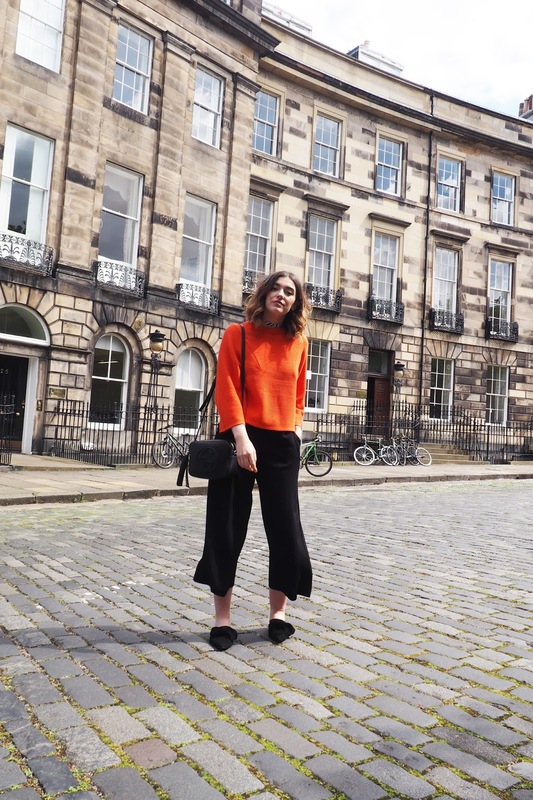 This absolute gem of a jumper first caught my eye on the wonderful Lily Pebbles and I knew it just had to be mine! 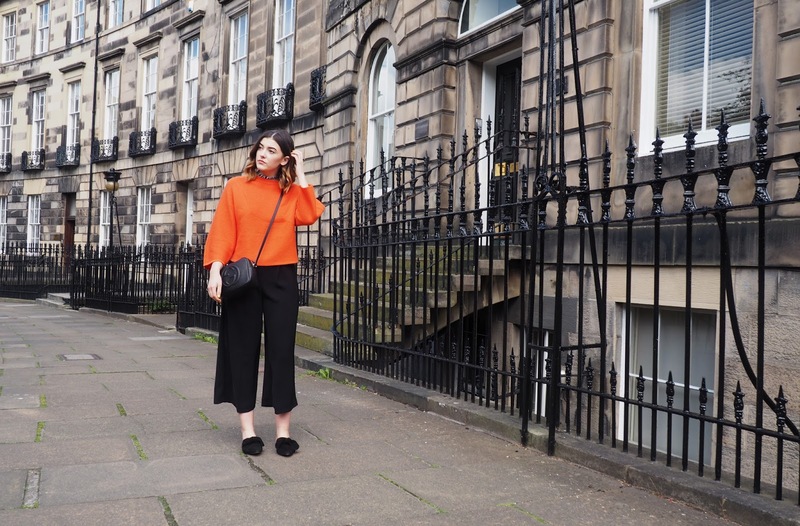 I think orange is a colour that is oh so flattering on anyone and everyone, not to mention how ACE it looks teamed with an otherwise monochrome outfit for another day exploring beautiful Edinburgh. 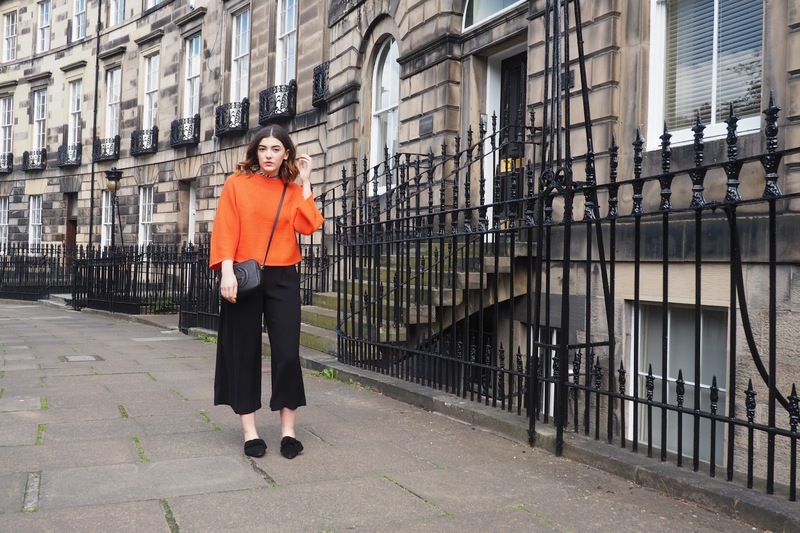 It's been almost a whole fortnight since I was in the city, yet I'm still well and truly suffering from the Edinburgh blues (totally a thing). Our second day in Edinburgh began bright and early, waking up to the most glorious of sunshine streaming through our hotel window. I actually ended up heading back to the room midday to change into something a little more Summer appropriate as it was flipping BOILING. 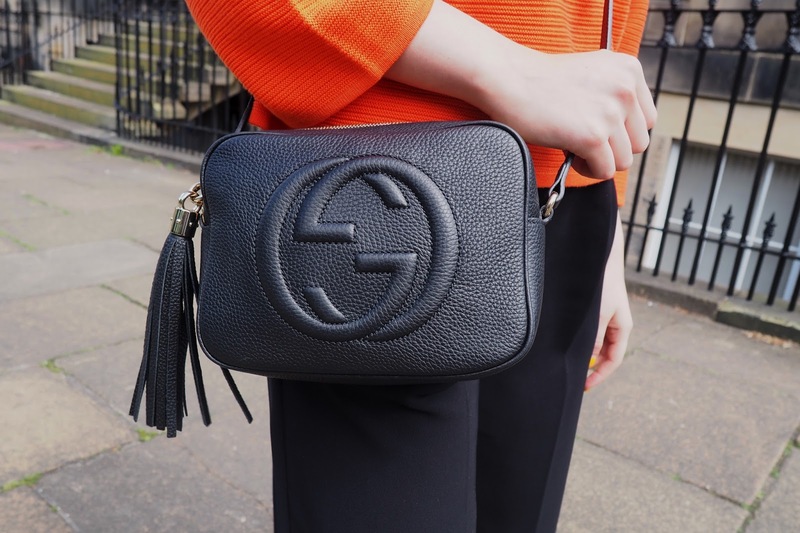 With the city's atmosphere practically buzzing with the weather, we decided to join the busy pop-up bars on Princes Street for a few drinks while the sun set, and it was truly amazing indeed. After one of the most amazing evenings the night before, we decided to be proper tourists for our final day in Edinburgh. We opted for an open-top bus tour of the city - a very wise move indeed considering we our last day was the hottest of all with the most incredible views! 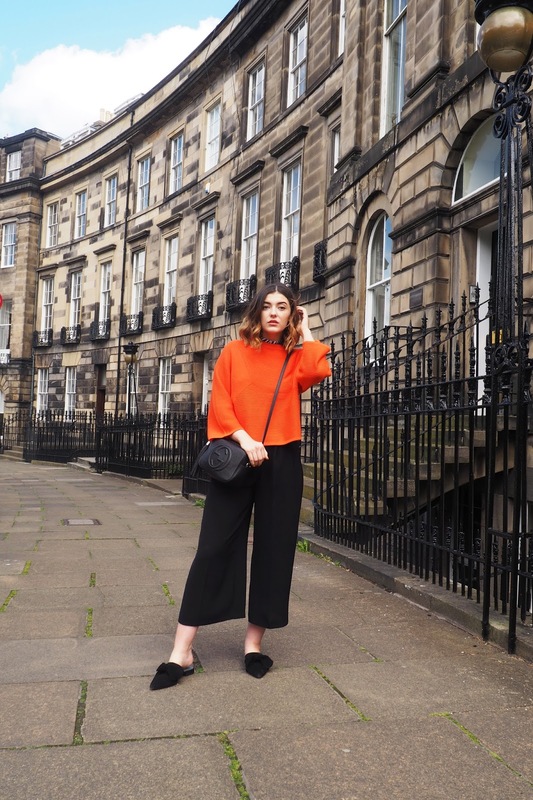 We hopped off our tour a little early to visit Edinburgh castle, only to find out it was almost £20 each, so ended up admiring it from afar and headed to Hula Juice Cafe for a late spot of lunch. Offering a wide range of choices from smoothie bowls to sandwiches with a seriously cool interior - deffo one to give a visit if you’re nearby! It’s fair to say that the Scottish Capital has well and truly won my heart. I cannot wait to be back. I do hope you enjoyed this little overview of our short but sweet getaway. It felt impossible to cover such a city in only three days, but we made the most of it and it has only made me even more excited to be back. Ahhh Tasmine! Your outfits are always so amazing, I need that bloody jumper! Oh Jen you absolute doll, thank you so much!